~ 50% of the total booking is required at the time of booking. The remaining balance is due 30 days prior to arrival date. ~ A signed contract, signed release of liability, and a valid photo ID is required. ~ Cancellations: A $75 fee applies to ALL cancellations. Additional penalties apply to all reservations cancelled inside of 60 days prior to arrival. 50% of the total booking will be charged to all cancelled reservation between 60 and 30 days prior to arrival. All reservations cancelled within 30 days of arrival forfeit entire reservation amount. ~ Payment information will be held for 45 days after departure in the case of damages or excessive utility usage. ~ A Transient Occupancy Tax of 12% is applied to all rates and fees. ~ Standard cleaning fees are taxable and range in price depending on the property. ~ All of our properties require a minimum stay. These can range from 2-7 nights. ~ High season’s rates & nightly minimums apply: May-October, All major and minor holidays, and special events. ~ Check-in is 4pm. Check-out is anytime prior to 11am. ~ Sonoma County quiet hours are from 9 pm – 9 am. Violation of the quiet hours can result in neighbors calling the police, fines and eviction without refund. 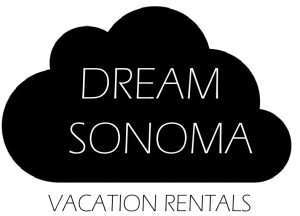 ~ Maximum overnight and daytime occupancy are set by Sonoma County and are not negotiable! Failure to comply can result in eviction without refund, neighbors calling the police, and County fines. ~ All of our properties are Non-Smoking. ~ In line with County regulations, no music is allowed to be played outside at anytime. ~ None of our properties are permitted for special events. No gatherings over occupancy maximums are allowed.